Brooke started at Cholla as a quiet, introverted and unsure freshman struggling to find her classes. Now, she has blossomed into a confident, boisterous and energetic student who takes IB classes and participates in golf, band and junior ROTC. Brooke also loves math and draws in her spare time. 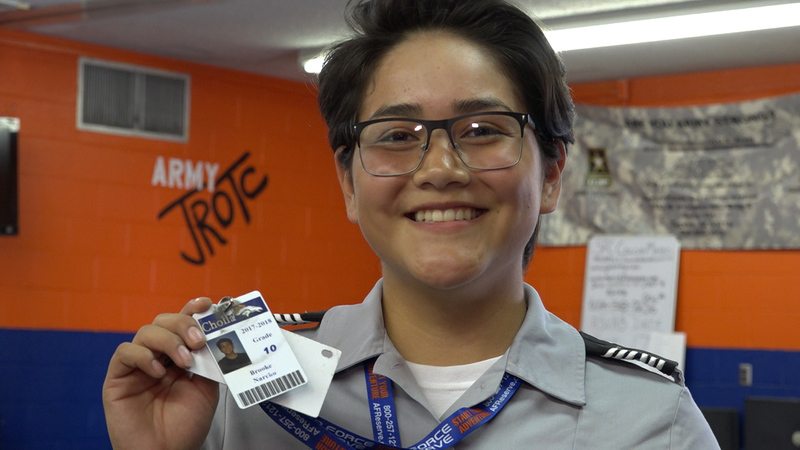 When she graduates from Cholla, Brooke would like to continue into an armed force.